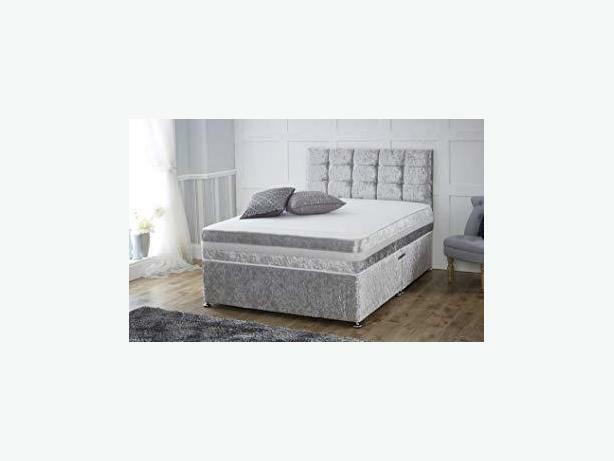 Double divan bed, head board & 10 inch mattress ONLY £180 !!! With fast free local delivery to your door !!! ADD 2 DRAWS for ONLY £30!!!!! Available in silver or black crushed velvet. Please send me a message or Call 07766703241 now !! Last ones in stock ! !